﻿ Hively » How do I use Hively with CodeTwo Exchange Rules Family Signature Manager? It’s easy to add a Hively snippet to your signature with CodeTwo Exchange Rules Family. Here’s how to do it. Log into Hively and click on the menu in the top right, then select Integrations. Select CodeTwo from the integrations list. 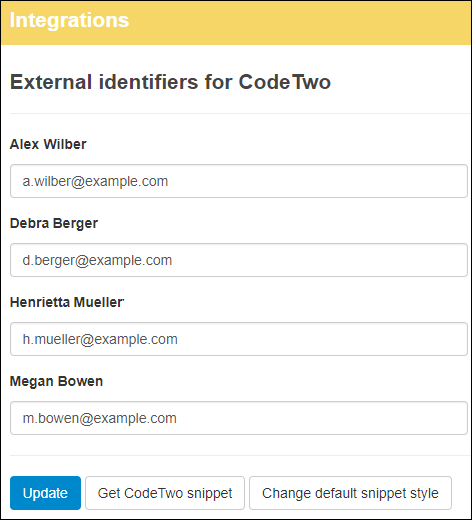 Next, for each Team Member listed enter their email address as their CodeTwo identifier. In almost all cases this will be the same email address that the user was registered with in Hively. 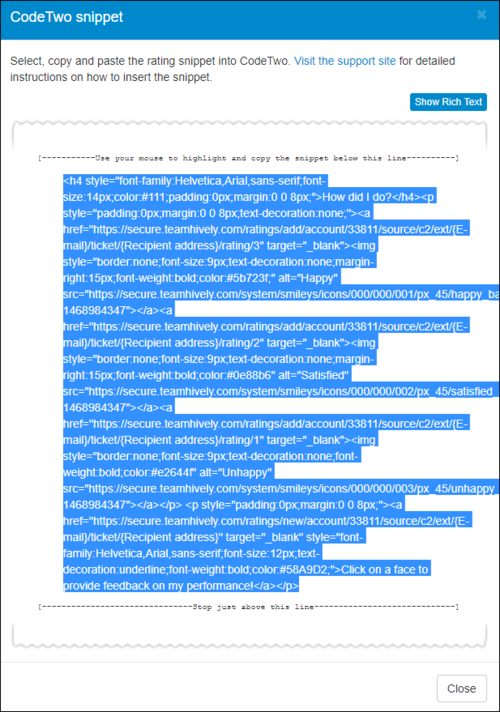 Next click on the Get Snippet link and copy the HTML view of the Hively snippet. To copy the HTML view, you’ll need to click the ‘Show HTML’ button prior to copying. Run the CodeTwo Manage Signatures App and add your Hively snippet to the appropriate signature rule. CodeTwo cover this step in detail in the ‘Adding the survey in CodeTwo Exchange Rules’ section of this article. It’s a great resource and we recommend you refer to it for the details on the CodeTwo side of the integration. Find out more about CodeTwo Exchange Rules Family here.